As the first half of the 2018 Major League Baseball season came to a close on July 15, action at AT&T Park was actually just heating up. Over the course of the next five days, our beloved ballpark would rapidly transform into a different kind of venue, as we prepared to host Rugby World Cup Sevens from July 20–22. This marked the first time the tournament was played on U.S. soil. The second the final out was recorded in the Giants vs. Oakland A’s game on Sunday, July 15, the Giants’ grounds crew, operations and facilities teams worked around the clock to turn a baseball field into a world class rugby pitch. 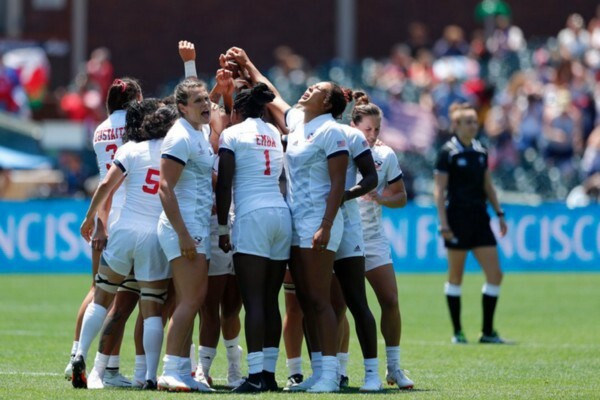 With the rugby pitch assembled, AT&T Park gates opened on July 20 for what would be the largest rugby event ever held in the United States, consisting of 40 teams (24 men’s and 16 women’s) from 28 countries around the world. Fan bases from England, France, Argentina and other international countries helped bring passion and excitement all weekend long. There was no doubt that the Fijians were well represented. Over the three-day span, 84 matches took place. With seven minute halves and a two-minute halftime, each match was over in just 16 minutes, with the next teams ready and waiting near the left-field foul pole to run onto the pitch as soon as the the final buzzer sounded. It was non-stop action, unlike anything AT&T Park has ever seen before. As play proceeded, the New Zealand men’s and women’s teams more than made their presence known as the two clubs dominated their way through the tournament. There was definitely no shortage of Red, White and Blue at AT&T Park, as both U.S. teams had impressive performances with the men taking 6th and the women finishing 4th. This marked the best finish for the men’s team in World Cup history. After the trophies were raised and the fireworks exploded over the centerfield scoreboard, both New Zealand teams treated the packed house as they performed their traditional haka following a pair of championship runs. As the weekend came to a close, San Francisco made it known that the United States is now more ready than ever to host more rugby events. Following the conclusion of the tournament, the Rugby posts were disassembled as our staff worked tirelessly to prepare the ballpark for the return of Giants baseball on July 26. 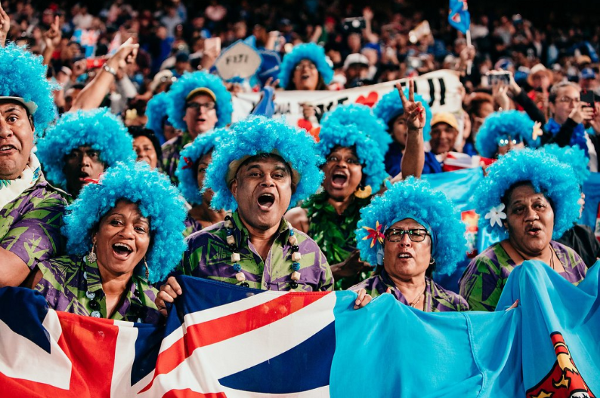 While our ballpark is no longer echoing from rugby chants and cheers, there is no doubt that the sights and sounds of this tournament will ever be forgotten. Still have the Rugby fever? We don’t blame you! Enjoy these men’s and women’s highlights to relive an epic weekend at AT&T Park.